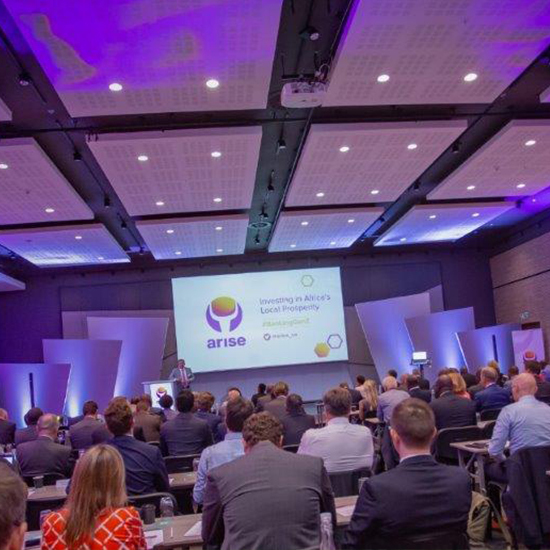 Arise hosted its third investment conference in Cape Town from 18 – 19 February 2019. The aim of this annual event is to provide a collaborative platform to facilitate knowledge exchange and information sharing amongst Arise’s investees and key industry role-players in the global and local financial services sector. Themed “Banking Gen Z” the conference was characterised by phenomenal industry speakers, who provided insight into banking disruption in Africa and how business models will need to evolve to service the needs of this new generation. Keynote speakers on the first day included Juanita Vorster, Trends Futurist, who provided insight into this new demographic. Her address on Generation Z Defined served to demystify the client of the future and provided delegates with valuable insight into how to meet the needs of this new generation. Nnamdi Oranye author of Disrupting Africa: The Rise and Rise of African Innovation and Taking On Silicon Valley was also a keynote speaker. His address on Banking Disrupted…. Banking Generation Z really laid bare the reality that banks are faced with today. His insight into how banks need to re-engineer and reimagine their service offerings to evolving demand left delegates with some serious food for thought. We were also privileged to hear from two inspiring Gen Z entrepreneurs, Lynette Ntuli, CEO of Innate Investment Solutions and Shukri Toefy, CEO of Fort. Delegates were afforded an opportunity to hear first-hand from these entrepreneurs on the challenges they faced when starting their business ventures in terms of accessing finance and how they overcame these. A highlight of the conference was the keynote address by Her Majesty, Queen Maxima of the Netherlands. The queen, who also serves as the United Nations Special Advocate for Inclusive Finance for Development is an ardent supporter and advocate for financial inclusion. Arise was privileged to have her address delegates on the importance of financial inclusion in advancing growth on the continent and the role of Gen Z in achieving this. The second day of the conference provided a platform for our investee partner banks like Equity Bank (Kenya), dfcu Bank (Uganda), Zanaco (Zambia) and NMB (Tanzania) to share how they are gearing up to service this new client of the future. The event was a great success with more than 130 delegates in attendance from across the globe and the African continent.